Posthumous albums are strange things and stranger still when they arrive over forty years since the artist’s death. Often compiled by labels and family estates, how much impact the artist whose name is actually on the record had on the final product is often unclear. With Marvin Gaye’s new album, You’re the Man, those questions are more prominent than ever. Originally penned as the follow up to Gaye’s generation-defining What’s Going On? his ‘new’ album was shelved in favour of other projects, its tracks scattered to various re-issues and special editions and existence reduced to a mere rumour. Motown has now reassembled the record and with the help of super-producer Salaam Remi released it into the world just days before what would have been Gaye’s eightieth birthday. As such, fans will have heard many of the tracks before, even if this is the first time fifteen of them have been pressed to vinyl. The album’s title track in particular is already a classic of Gaye’s discography, balancing politics, groove and immaculate musicianship as well as any cut from What’s Going On? The real highlights on this record lie in the lesser known tracks such as closer ‘Checking Out (Double Clutch)’, which sees Gaye and his band flexing their funk credentials, and ‘Woman of the World’, a joyous lesson in a jazz-laced soul. 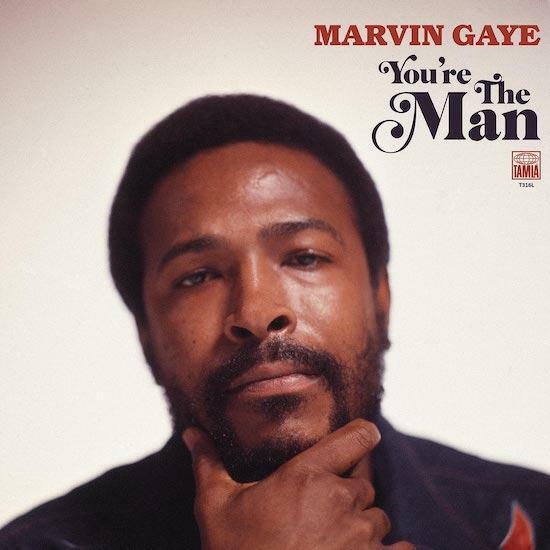 Throughout You’re the Man, Gaye is on world-class form and there are hints of the classic album it could have been had it been released when originally intended. However, the inclusion of a handful of Christmas-themed tracks in the album’s final third and the decision to include an alternate version of ‘You’re the Man’ in which Gaye has altered much of the messaging from the original leave the tracklist feeling a little scattered. The music is near faultless, but nearly fifty years after its original release date, You’re the Man feels more like a Best Of or collection of rarities than it does the ‘lost album’ it promised.